Dante Alighieri FREE Films and Raffle ~ Philippine Freebies, Promos, Contests and MORE! 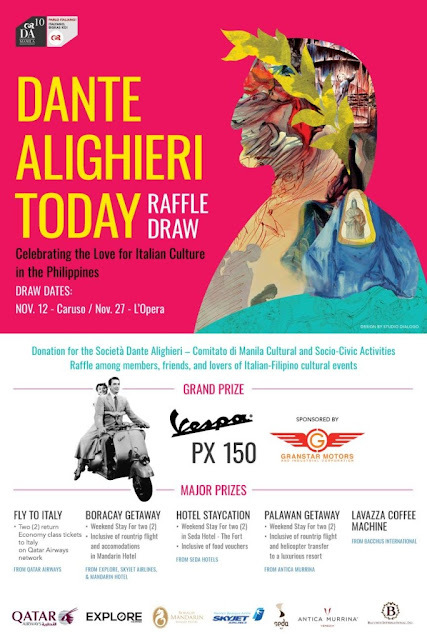 Celebrate love for Italian culture here in our country by journeying into the works of Dante Alighieri through FREE films, raffle draws and more. This event coincides with the XVth edition of the Italian Language Week in the World under the high patronage of the President of the Republic of Italy. 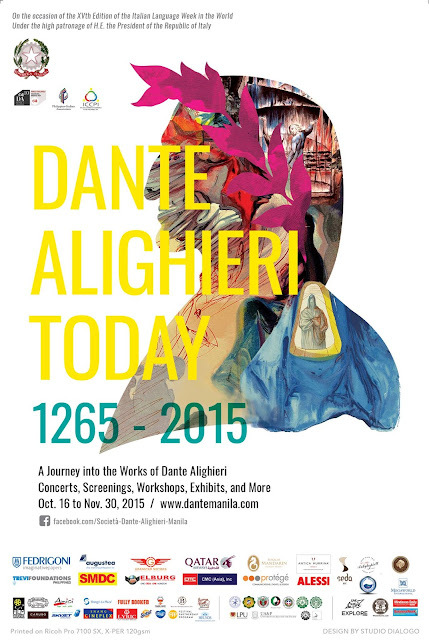 Among the films that will be featured are Dante, the Film and L'Inferno (1911) which will be accompanied by the live musical performance of rock band Razorback. Admission is FREE and is a first come first served basis. Another main event of the occasion is the raffle draw wherein you can drive home a brand new Vespa PX 150. Other prizes also include Trips for 2 to Italy, Palawan and Boracay, a fabulous staycation in Seda Hotel inclusive of food vouchers, and a Lavazza Coffee Machine. Go to Shang Cineplex, Shangri-La Plaza Mall, Mandaluyong on the scheduled movie dates at least 2 hours before the screening to guarantee your seat.